Meet Death. He is about to be nominated for an Oscar so it is about time you got to know him. It is WWII and Death is busy with hundreds of thousands of victims of war across Europe and Nazi Germany. 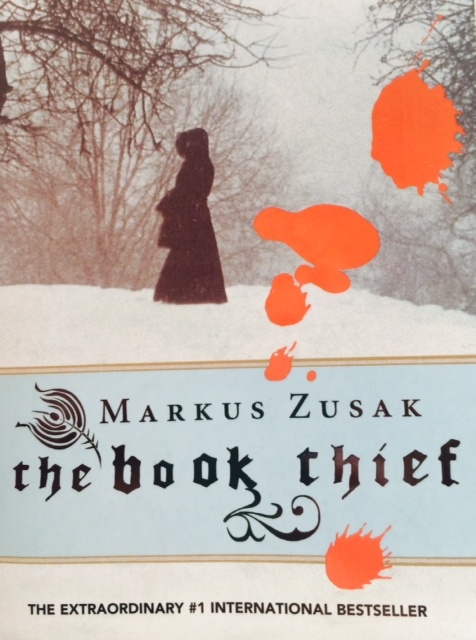 In this book, he finds the time to observe the life of a small girl called Liesel dealing with her own trauma and grief in a world that’s falling apart around her. This is Deaths’ story not the girls and that is no doubt why it is an international bestseller, receiving copious awards and featuring on The Book Club (ABC) list of the “Top Ten Australian Books to Read Before You Die”. So it goes without saying many dedicated readers will have already devoured this book but I am ashamed to say I hadn’t. It had been sitting on my bookshelf since it was released in 2007, cruelly abandoned after a poorly timed attempt to get started. So when I heard it had been made into a film due for a big cinematic release in January 2014 (just in time for the Academy Award nominations), it was the perfect excuse to try again. I cannot recommend this book highly enough for any reader, teenage and up. It is soulful, reflective, gracious, bold and also impossible to put down. Make no mistake – it is also very sad but the author, Marcus Kusac delivers the story in a way that prepares readers for the bad bits allowing them to focus on the good. This is one of those books where it would be a crime to see the film before reading it so if you haven’t already done so, pick up a copy and get started. I just can’t wait to hear the jokes about which ageing Hollywood actor has scored the main part.